Can The City Of New York Be Held Liable For A Traffic Accident? Can The City Of New York Be Held Liable For A Traffic Accident? Can The City Of New York Be Held Liable For A Traffic Accident? The New York State Court of Appeals is the highest court in this state. 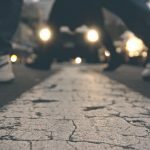 In December of 2016, that court ruled that cities in our state – including New York City – may be held legally accountable for injuries in traffic collisions caused by the failure of those cities to repair – or otherwise fix – streets where a disproportionate number of serious collisions have occurred. The justices held New York City partly liable for a 2004 crash in Brooklyn that severely injured a 12-year-old boy. In Turturro v. City of New York, the Court of Appeals upheld a jury’s finding that city officials did not react responsibly to the known hazard of speeding vehicles on Gerritsen Avenue in Brooklyn. That failure to react led to the tragic 2004 collision. Louis Pascarella’s vehicle struck and severely injured 12-year-old Anthony Turturro, who was thrown from his bicycle and remained in a coma for five months. As an adult in 2017, Mr. Turturro continues to struggle with diminished motor function and diminished mental capacity. The boy’s family sued after the December 2004 accident. Experts testified that the vehicle driven by Pascarella hit the boy while moving at least 24 miles per hour over the posted 30 mph speed limit. Still, the trial jury determined that New York City was 40 percent responsible for the accident and injuries. The city appealed, and the New York State Court of Appeals upheld the trial jury’s findings with a 6-to-1 decision. WHY DID JURORS FIND NEW YORK CITY LIABLE? At the jury trial, the Turturro family’s attorneys showed that in the years before the accident, local residents consistently implored the city to find a way to slow the traffic on Gerritsen. The Court of Appeals decided that the trial jurors were correct and that New York City was partly liable because officials received regular warnings about speeding drivers on Gerritsen but didn’t bother to make changes on the busy avenue. The problem of speeding drivers on Gerritsen was never even studied by the city’s traffic authorities. In the ruling authored by Justice Eugene Fahey, the Court of Appeals said that New York City failed to show it was entitled to immunity in the case. Fahey wrote: “Plaintiffs’ expert testified that it was known among traffic engineers that straight, wide roads with little interference from pedestrians and other vehicles, such as Gerritsen Avenue, encourage speeding because drivers feel more comfortable on roadways with those characteristics.” The city did not consider design changes that might have prevented the accident, the court said, so the question of the city’s liability was rightly put before the jury to decide. Chief Judge Janet DiFiore and Judges Jenny Rivera, Leslie Stein, Sheila Abdus-Salaam, and Michael Garcia joined with Justice Fahey. The lone dissenter om the Court of Appeals, Judge Eugene Pigott, Jr., said the ruling was “antithetical” to previous case law and legal principles regarding government immunity, and he believes the ruling could leave city governments open to unwarranted lawsuits in the future. HOW HAZARDOUS IS GERRITSEN AVENUE? In the summer of 2016, close to the spot on Gerritsen Avenue where Pascarella crashed into Turturro, a collision with an impaired driver killed a 17-year-old bicyclist. Collisions have resulted in four traffic fatalities on Gerritsen since 2007. In the fall of 2016, New York City finally began installing concrete pedestrian islands and a protected, two-way bicycle lane along Gerritsen Avenue. The December ruling by the Court of Appeals reportedly will not impact Mayor de Blasio’s “Vision Zero” plan to make the city’s streets less dangerous. Vision Zero, first developed in Sweden, is an approach to traffic safety planning rooted in the idea that no deaths or injuries should be the final ultimate goal of traffic safety planners. “The City is firmly committed to Vision Zero investments in street redesigns and enforcement that save lives,” said Austin Finan, a spokesperson for Mayor de Blasio’s office. “No legal decision will change that,” Finan added. New York City’s taxpayers and residents take for granted that their streets and highways will be designed with safety and maintenance in mind. Every contractor and government agency involved with designing, constructing, and maintaining streets in this state has a legal obligation to make certain that every roadway will be safe under normal conditions. Of course, government agencies and contractors sometimes make mistakes and even sometimes intentionally cut corners. WHAT SIGNS INDICATE A ROAD IS NEGLIGENTLY DESIGNED OR MAINTAINED? A road’s design and construction, as well as short-term conditions like new construction, can cause traffic collisions with serious injuries and fatalities. Inefficient or inadequate storm drainage, poor visibility, misleading or insufficient signage, as well as potholes and other physical damage may indicate that a state or local government is negligent in its maintenance of a particular street or highway. Unfortunately, a tragedy – or a couple of tragedies – usually must happen before a dangerous road is redesigned or repaired. Gerritsen Avenue in Brooklyn has been a sad example of that fact. A 2014 report by Smart Growth America and the National Complete Streets Coalition – titled “Dangerous by Design” – suggests that streets in the U.S. have been designed for speed rather than safety and that cities must find their deadliest streets and redesign them as quickly as possible. Obviously, even on streets with poor conditions, motorists may be liable for accidents. Drivers must always be on the lookout for puddles, potholes, and other hazards. However, government agencies assigned to keep streets safe may also be at least partly responsible for traffic collisions on those streets and highways. City, county, and state governments, transportation departments, other government agencies, engineering firms, construction companies, and other contractors and subcontractors may also be potentially liable after an accident with injuries. Anyone injured in a New York traffic accident should consult right away with an experienced Bronx personal injury attorney who can assess the details of the crash and determine where liability falls. Even if another driver crashes a vehicle into yours, poor street conditions may be the ultimate underlying reason for the collision. However, only a New York personal injury lawyer will have experience with the complicated process of suing a municipality or a government agency in the state of New York. So how can the deadliest streets be targeted for repairs and redesigns? A new digital tool called StreetScore, developed by MIT’s Media Lab, could help. Using a machine-learning algorithm, StreetScore can read street-view images, associating certain textures, colors, and shapes with safe features. The more of those safe features it spots, the higher the safety score for the street. With tools like StreetScore and the emergence of driverless vehicles, travelling in New York will be substantially safer in the years ahead. But for now, you’ll need to speak with an experienced Bronx personal injury attorney if you or anyone you love is injured in traffic on the streets of New York City. 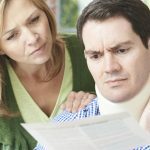 If you are injured by negligence in this state – whether it’s the negligence of another driver or a city government – you are entitled by New York law to full compensation for your medical expenses, lost wages, and all other accident-related damages. Car Accidents: When are You Liable for another Person’s Negligence?